If I may be so bold as to make a Christmas shopping recommendation for everyone, I’ll take this opportunity to remind you that books make excellent gifts… and I’m not just saying that because I want you to give my books to people. Although, if you choose to give the gift of Jeff, you can pick give the electronic or paperback edition of Nobody Told Me: A Cynics Guide for New Employees from Amazon. If you’ve gone all electronic or just want to stick it to Amazon, the ebook is also available from Barnes & Noble and Smashwords. I know there are a few of you who are always looking for a deal, so in that spirit if you purchase your ebook from Smashwords, I’m offering a $1 discount from now until December 25th. Enter CW57P when you check out and you’ll receive the promotional price of $1.99. 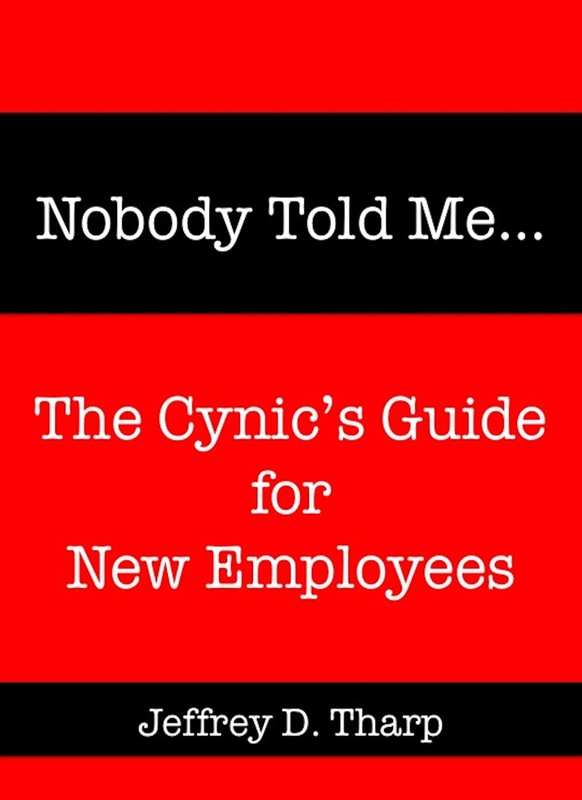 Let’s face it, Nobody Told Me: A Cynics Guide for New Employees, is just about the perfect gift for the guy who hates everything. Yeah, it’s a day of thanks and all, but it’s still a Thursday and no matter how thankful we are, that’s no reason to just ignore the annoyances that continue to be so plentiful. 1. Federalized healthcare. I’m really starting to wonder when the powers that be are going to fess up that the rollout of the Affordable Care Act has been a cluster and push it back. From my reading, it’s a goat rope that hasn’t seemed to improve much over the last six weeks and doesn’t seem likely to improve much over the next six. I think a president who stepped back, admitted that his people screwed the pooch, and focused in on Launch 2.0 might actually earn himself some goodwill. But you know me, I’m a crazy optimist. 2. Appeasement. I know that Prime Minister Chamberlain, errr… President Obama is expecting “peace in our time” with Iran, but it feels a bit like we’re giving away the whole damned store and getting nothing to speak of in return. Time was “because we said so” was a perfectly reasonable approach to take with a belligerent nation whose stated foreign policy is to destroy the United States and our closest allies. I’m not sure I even recognize what’s passing for foreign policy these days. The world is a dangerous place and doesn’t get any less dangerous when we roll over and play dead on the important issues. 3. Food. So. Much. Food. I’ve never thought about bulimia, but there’s a first time for everything. I’m coming to you live and direct from a freshly unboxed 2013 MacBook Pro Retina. My assessment after thirty minutes of dinking around and loading software is that it’s a slick little machine. So far I’m impressed with what I’ve seen. Then again, the fact that it didn’t take half the damned day to boot up practically seems like a feat of magic at this point. The first thing I noticed, of course (aside from how fast it is), is that the screen is absolutely beautiful. I knew it would be better than what I was use to, but I hadn’t realized just how much better it was going to be. Everything is a little “squished” since I’m coming from the 15-inch model, but after adjusting some muscle memory I’m sure I’ll adapt to it fairly quickly. Now it’s just a matter of setting it up the way I want it and making sure it can see all the network drives. Good times on this first day of a 5-day weekend. Bottom line early assessment: It’s light, it’s fast, it’s a work of friggin’ art. Basically it’s everything that Apple said it was. If you find yourself in the market for a laptop and don’t mind paying the inevitable Apple Tax, it would be well worth your time to give the new Pro line a look. The reliability of my venerable Late 2008 MacBook Pro has reached such an unfortunate state. Despite my best efforts at salvaging the situation, it is time to retire the poor, battered contraption. Assuming all goes to plan, this will be the last post from an aged, and increasingly temperamental machine. As much as I love new tech, parting company with this first of the aluminum unibody Mac laptops is bittersweet. You see, it comes with history. Or at least some personal history. 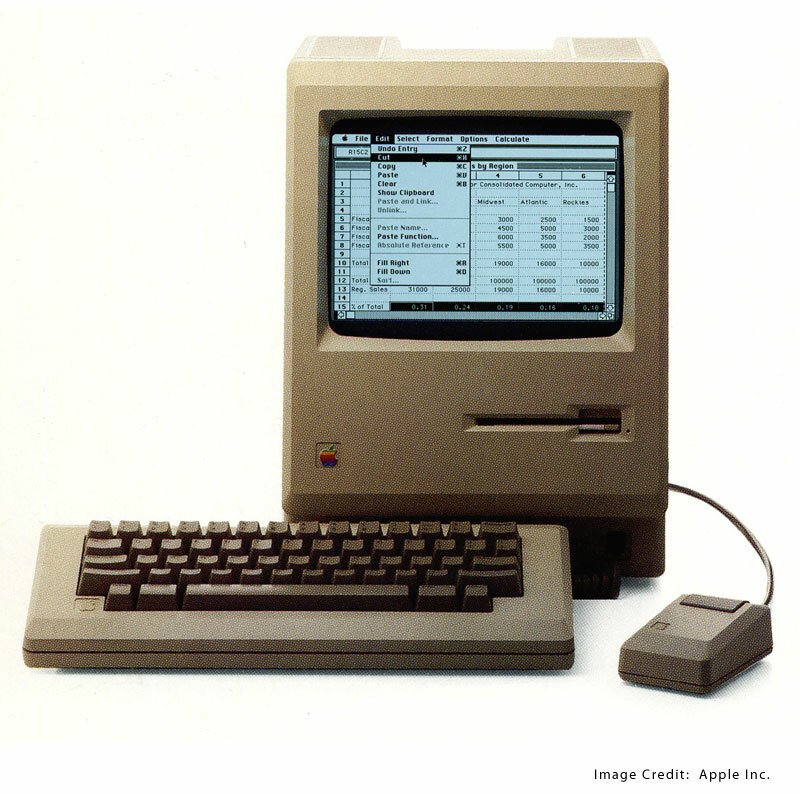 The first computer I ever used was an Apple Macintosh. There were six of them squirreled away in a back room of the library at George’s Creek Elementary in the mists of pre-history (AKA the mid-1980s). I was probably all of eight or nine years old. We eventually added one at home too – my entry into having a real “personal” computer. That little beige box met all of the household’s computing needs for almost a decade. The year was 1995. Enter Windows. I got my first Compaq desktop and never looked back. I was a committed Windows user from there on – building a series of progressively more powerful machines. That lasted for more than a decade of upgrades, new towers, and laptops until finally it ended with a puff of acrid smoke from the back of a Gateway laptop on March 20th, 2009. Apple lured me back, not with a computer, but with a phone. I was so enamored with the engineering prowess in that first iPhone that I thought surely they know how to build a computer. And they did. The machine I’m typing this on outlasted generations of new computers, three major OS upgrades, and in almost five years didn’t so much as hiccup on anything I asked it to do. Right up until the point where it started choking on everything, of course. Like every other bit of electronic kit, my ’08 model has reached a point in its service life when it is simply uneconomical to repair. In the finest tradition of American consumerism, I will therefore shunt it unceremoniously aside in favor of a newer, shiner model. But I won’t do it without posting one last blog from the machine that brought you every single word ever published on jeffreytharp.com, two ebooks, and spewed snarky commentary from one end of the internet to the other. It deserves at least that much for its years of good and faithful service. The week of Thanksgiving heralds the arrival of that most magical and wondrous time of year… and I’m not talking about Christmas with its faux joy, peace and goodwill towards people you otherwise can’t stand. I’m talking about the four weeks between the holidays when nothing gets done and everyone is busy burning off what’s left of their annual leave. In short: Thanksgiving marks the beginning of the long march towards the end of the year when there are fewer colleagues around asking reports, wanting to see slides, and generally pretending to be productive. It’s the time of year when the pretense of being productive falls away. Sure, that’s only because there are barely enough people around to keep the lights on, but beggars shouldn’t be choosers. There are going to be plenty of people running around for the next month trying to put together pick up meetings or cram on one more “special project” before 2014 rolls in, but mostly even they know they’re putting on a show for the sake of appearances. I’d be hard pressed to find anyone who really thinks they’re going to be able to get anything significant accomplished at this time of year. That makes for a low key environment… and low key makes me exceptionally happy. If I haven’t learned anything else from being a drone these last 11 years it’s that this time is fleeting. Before you know it, and well before you’re ready for it, we’ll be back to the full-on grind. So the advice from your kindly Uncle Jeff? Take some time. Slow your roll and remember that no one ever saved the universe with their PowerPoint slides. Even when you think what you’re doing is important, there are well over seven billion people on the plant who don’t care if you live or die. Perspective, my friends, is everything. With this morning’s posts out the door, there are only two weeks worth of archive posts left to go. Assuming nothing catastrophic happens between now and then, the last posts will go up early on the morning of December 8th. As fun as it’s been – and as glad as I’ll be to have everything I’ve ever blogged living here under one roof – it will be nice to move on to something else. I’m still not sure what the new Sunday morning focus will be, but I’m sure I’ll come up with something. 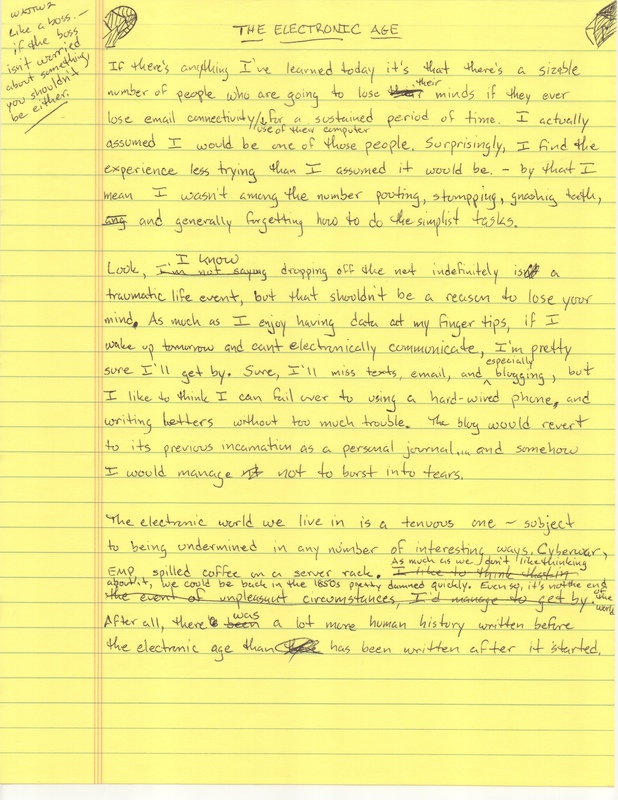 If my math is right, by the time the last word is published we’ll be looking at a grand total of about 1525-ish individual posts from June 2006 to the present day. Most days add another to that total. I haven’t come up with a good way to estimate word count, but I’m just assuming the total would be more than enough to stun a team of oxen in their tracks. Even if we assume only 200 words per post, that will get us to 300,000 without any real trouble. Trust me, that’s a lot of words, especially considering most blogs probably survive a year or maybe two and then disappear. With two weeks to go, make sure you stop by and enjoy today’s update from September 2008 – including my one and only foray into “Eastern” medicine.